Chicago—I remember when I was a little guy growing up, being raised by my part-time mother. Part-time because she found places and people to do the job she was incapable of, raising a child. I was on my own from age 14 on. For a while my mother had an older sometime boyfriend who made a modest living as a singer in Chicago nightclubs. He played a guitar and attempted to impress my mother telling her in front of me that when I turned 12 he’d give me a guitar and teach me how to play it. I really wanted that to happen and it never did. I never learned how to play any musical instruments and feel deprived to this day. As an adult, I could have bought something on my own but that would never have been the same. I’d have enjoyed the gift and more importantly the instruction and attention from a caring adult. If you play something well and can afford it, find a needy kid that wants the gift of music and help him or her out. I wonder how many legendary entertainers got their boost in life from a musician. What are you waiting for.... Your next life??? It is never too late to learn. 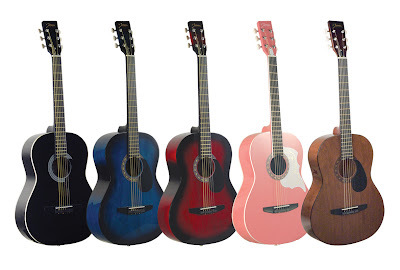 Choose your instrument, take some lessons, and fulfill that longtime dream! Shame on adults who make empty promises to children. Kids take adults at face value, and failure to follow through with those promises, can result in pain that lasts a lifetime. As a divorced Mom of a now grown son, I could never understand why a man would do that. Heartbreaking. Send me an e-mail I have questions about Anna, Harrisburg, & Golconda. RE: If you play something well and can afford it, find a needy kid that wants the gift of music and help him or her out. I wonder how many legendary entertainers got their boost in life from a musician. It's not only the gift of music for a needy child, it's nurturing, love, attention and the real gift is that the child feels special. So whether it's music, playing baseball or just teaching them to ride a bike, it's the interaction and support that's important and makes them feel loved. That's the real gift~giving of yourself!